This is one movie that I can’t wait to see out. One of the best storytellers and producers is Hideo Kojima, the mastermind behind the Metal Gear series. So it seems that Sony Pictures is going to be releasing a movie, and Mike De Luca is the producer. 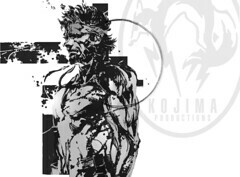 Personally, I think that Kojima could handle producing it as long as the script was written well (bring in the Metal Gear script team). All in all? The entire movie can totally be realized even without game play. Hopefully they land someone that can totally be like Snake too. My pick? Hugh Jackman. His Wolverine is classic for the rough looker, and he’s definitely got the tough look in the X-Men series that could totally pull off Solid Snake. Have no fear. If Kojima has his hand in it, I would hope that it would not disappoint just as every single game in the series has not to the delight of loyal fans.